Secure, modern, fast, and served with love. Smiles and satisfaction included! 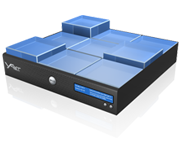 Everything you need to provide your own hosting services. Unbeatable value!! Simply Dedicated! Simply works! No outsourced hardware or staff. Our speciality! 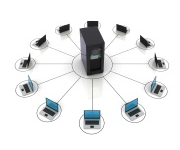 Dedicated resources with virtualization benefits. A simply smart choice! Send us your hardware and we'll make it shine! Simply redundant. Simply perfect. We treat our customers to the best possible support and services. Our significant and growing base of individual and corporate clients can count on our services to be rock solid reliable and our staff to be extremely knowledgeable. Simply the best! Our parent company, H4Y Technologies LLC has been a leader in the hosting industry since 2001 with one of the lowest customer churn rates in the industry. Our servers are monitored in-house 24/7/365, and we are always looking for ways to improve our operations. 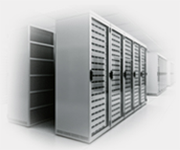 We provide our customers with the most up-to-date software and data services for their hosting experience. Our state-of-the-art infrastructure, automated systems, and accessible support will put you at ease. Simply reassuring! 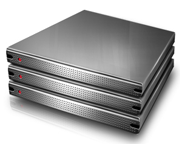 We are certified hosting experts with decades of experience. 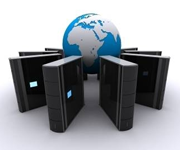 Data hosting and web presence is our living and it courses through our veins. Our prices are as you see them. No hidden charges. Free setup on all accounts and nothing but what you see on our site. Please do not hesitate to ask any questions you have about our hosting. Representatives are available 24/7/365 via phone or ticket. Chat is also available.